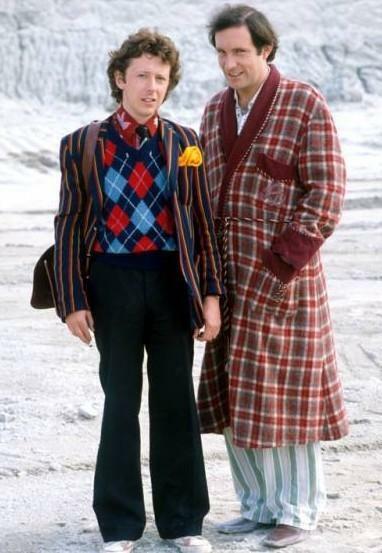 Ford Prefect and Arthur Dent in the TV series. from the temples. His skin seemed to be pulled backwards from the nose. Cons: Can’t recognize sarcasm, somewhat self-absorbed. 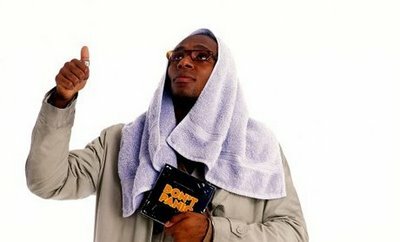 Mos Def played Ford in the 2005 movie version of the novel. Ford is a great foil to Arthur Dent’s very human character. Where Arthur freaks out (justifiably) Ford calmly goes with the flow — for the most part. 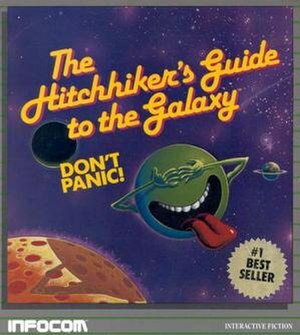 So those moments when Ford fails to follow the Guide’s first rule (“Don’t Panic”) it’s all the more fun for the reader. Clicking HERE will take you to the Amazon page where you can get a Kindle version for $7.99, or various print and audio versions. This entry was posted on Saturday, January 12th, 2013 at 8:32 pm	and posted in Thought of the Day. You can follow any responses to this entry through the RSS 2.0 feed.